Whoever said fashion and promotion couldn't go hand in hand was a fool. 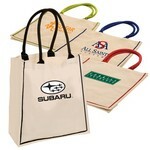 We're here to prove that assumption wrong with custom fashion tote bags that boast your brand while providing a classy, luxury carryall to the women on your team or in your Rolodex. 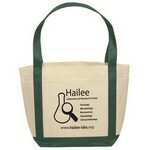 Our personalized fashion tote bags use high quality fabrics such as cotton, canvas and jute. We offer beautiful screen printing that adds to rather than detracts from the fabric and stitching, creating an overall gorgeous look that women will be proud to carry. 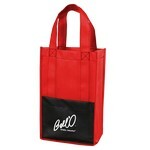 Because our promotional fashion totes are so well made, your customers and employees will be able to use them for years to come, giving you long-term advertising for one low price! 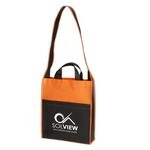 Our Non-Woven Cody Tote Bag features 80 gram non-woven polypropylene construction and allows inserting brand logo and message for impressive Tradeshow Products. 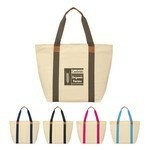 This Port Authority Color block Tote Bag is made for comfort with a large main compartment. 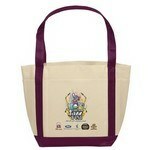 The Port Authority Fast Break Cinch Drawstring Backpack has pockets to keep beverages on hand. 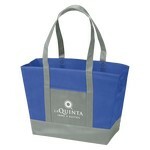 Our Lake Powell Non-Woven Boat Tote features 80 GSM non-woven polypropylene construction, Customizable with your brand logo. 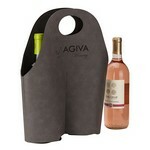 Carry your wine home from the liquor store or your champagne to a party inside this luxe carrier. 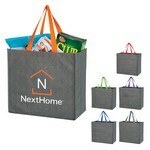 Easily Fits Most Wine and Champagne Bottles.